Some of you would have followed our honeymoon travels earlier this year that we cheekily called our backpackneymoon. This honeymoon of ours covered Singapore, Malaysia, New Zealand and Australia and many people ask us questions like, “how much does it cost to travel in Australia”, “what was your budget for Australia”, “is Australia expensive”. Things like that. So without further ado, let’s talk about our travel budget for Australia. Australia is expensive if you’re not earning Australia dollars. For locals, it is not too expensive because wages there are high. Minimum wage for a casual worker is $18 per hour and many people earn a lot more than this. But if you’re coming from anywhere else in the world, Australia will feel like the most expensive place on Earth. We chose to hire a campervan in Australia so that we could see a lot of the country as well as have a free place to sleep every night. Some people do a similar trip with a normal car and simply use a tent to camp in every night. Whichever way you do it, the freedom you get by having your own wheels is priceless. You must do this! 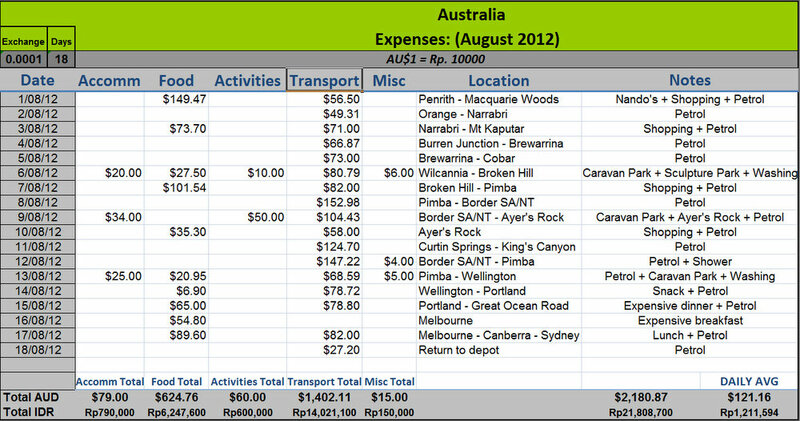 Here is a breakdown of our travel costs in Australia. Because we travelled in a campervan, we rarely needed to pay for accommodation – we simply used the free camping locations all around the country. You can find these free place easily using the Wiki Camps app for iPhone. So cool. The only time we paid for accommodation was for a caravan park in Broken Hill because we couldn’t find a free shower, Ayer’s Rock because you really have no other choice as they don’t allow you to camp for free and in Wellington where we needed to do laundry. In total we spent $79 over 3 days which is an absolute bargain. We spent $624 over 18 days but we did spend quite a lot of money on expensive food in Melbourne and Canberra which most people wouldn’t do. 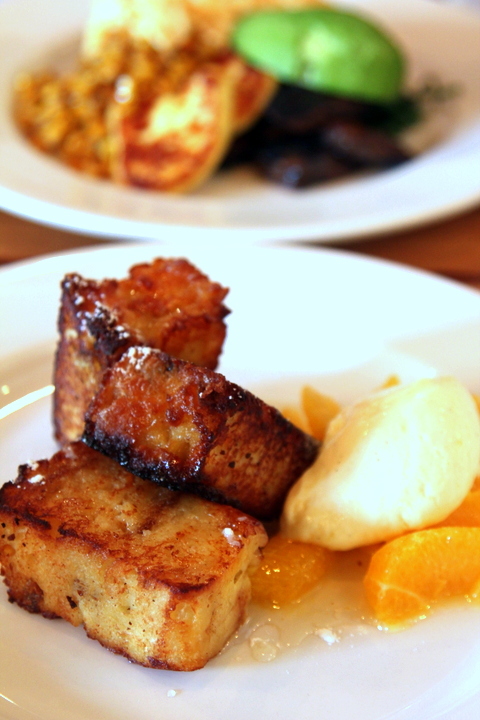 That would have saved us about $150 if we had eaten supermarket food. The great thing about travelling in the Australian outback is that most of the things you see and do are free. Kangaroos, Emus and thousands of birds are absolutely everywhere and it’s great fun to look out for them – for free. It’s also great to visit all the different national parks in the remote areas as they are also free and very interesting. We also visited hot springs, saw incredible sun sets and wacky mining operations all for free. The things we did pay for were the fascinating sculpture park in Broken Hill and Ayer’s Rock. 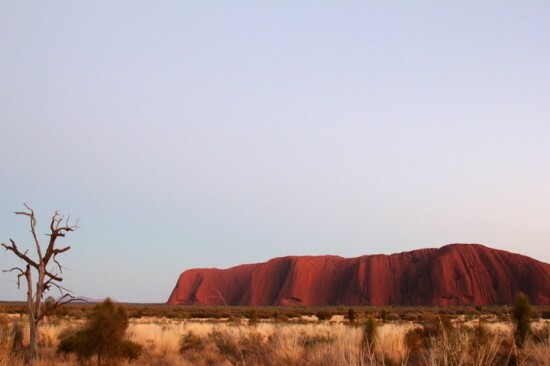 The entry to Ayer’s Rock and the Olgas is $25 each and it is worth every cent. Other than those things, it was a cheap trip for activities. 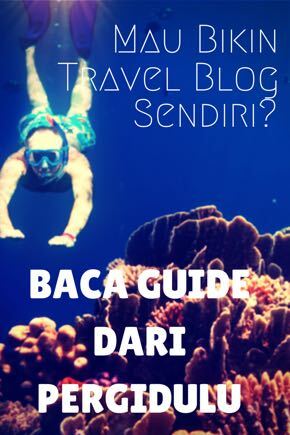 Kalau mau travel ke Australia, kami rekomendasikan Lonely Planet Australia. Buku ini harganya kira-kira Rp.400,000 di Indonesia, tapi kami punya special deals dengan the Book Depository – lebih murah dan ongkos kirim gratis! The costs in the spreadsheet exclude the cost of renting the campervan. 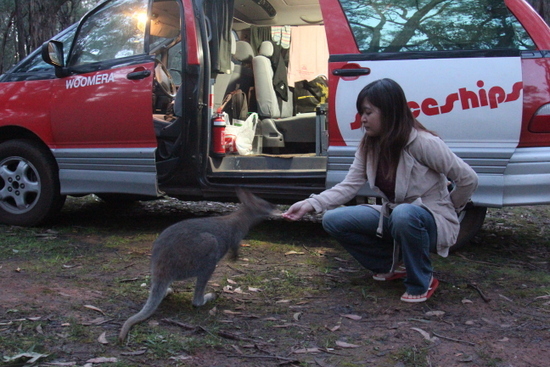 The cost of the renting the campervan was $630 which is very cheap for a car which also allows you to sleep in it. The other expense of transport was for petrol. Petrol in Australia is cheaper than in New Zealand, but much much more expensive than in Indonesia. The other thing is that the distances you travel in Australia are huge. We travelled over 8,000km during our 18 day journey and one day we even travelled close to 1,000km. The maps below give you an idea of the size of Australia compared to Indonesia. 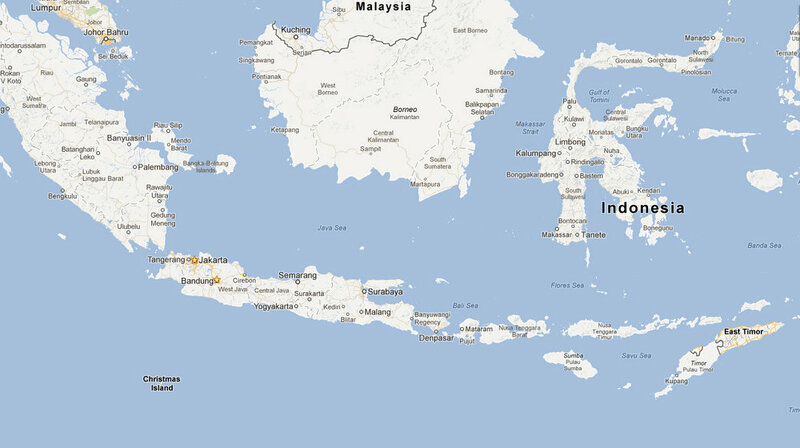 As you can see, our trip was like driving from West Timor, through Sulawesi and Kalimantan and to Padang. And then back again! It was far, so the petrol costs do add up. Someone asked us if it would have been cheaper just to fly to Ayer’s rock and the answer is… Maybe. Flying to Ayer’s Rock is expensive. But when you get there, you don’t have a car so you either have to rent one or go on a tour. You also have to book a hotel room. And you miss out on all the cool stuff we saw on the way. Doing a road trip is probably cheaper AND definitely much more fun. We booked our campervan directly through Spaceships, but we now know of a site that can get better prices by comparing all the different companies. It’s probably best to try them out first to see if they can do a better deal. They’re called Camper Hire Australia. We had a few random expenses such as doing laundry and paying for showers, but these only added up to $15. So over the course of 18 days we spend $2180 which is a lot of money and this doesn’t include the $630 we spent on renting the campervan. Travelling in Western countries is expensive and you can do it cheaper if you take a tour with one of those backpacker tours and sleep in hostels. But it’s not A LOT cheaper. If you had 4 people in the campervan, the cost of the trip becomes even more economical because you can split costs 4 ways. How else could you do it cheaper? Unless you buy your own van and travel really slowly for months across the country, it is difficult to save money on petrol and car rental. 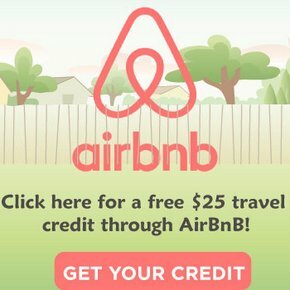 An Indonesia friend of ours did do a cool roadtrip by simply paying some other backpackers to travel with them and this was much cheaper. Check out Gumtree for other people wanting to do a roadtrip. We had a top time in Australia. If you have any questions about our expenses, leave a comment! If you want to know how much it costs to do a similar trip in New Zealand, we wrote an article about New Zealand travel costs as well. 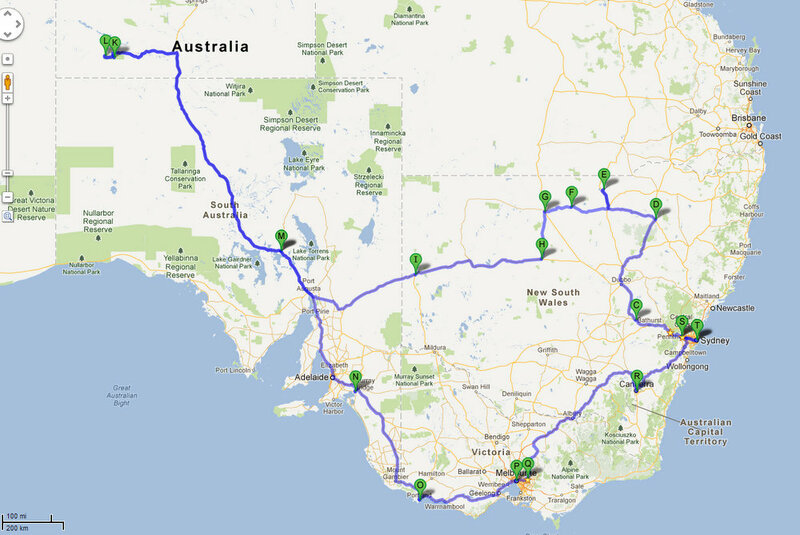 Thank you so much and planning to do road trip from Adelaide to Brisbane along the east coast…. We (2 adults and 2 kids) planning to rent SUV with camping tents or camper van based on the budget. thanks for sharing the tips. I might do it one day. hehe. I’ve been to Sydney and Melbourne only for 8 days. Am yet to visit the other counties. hopefully via campervan!